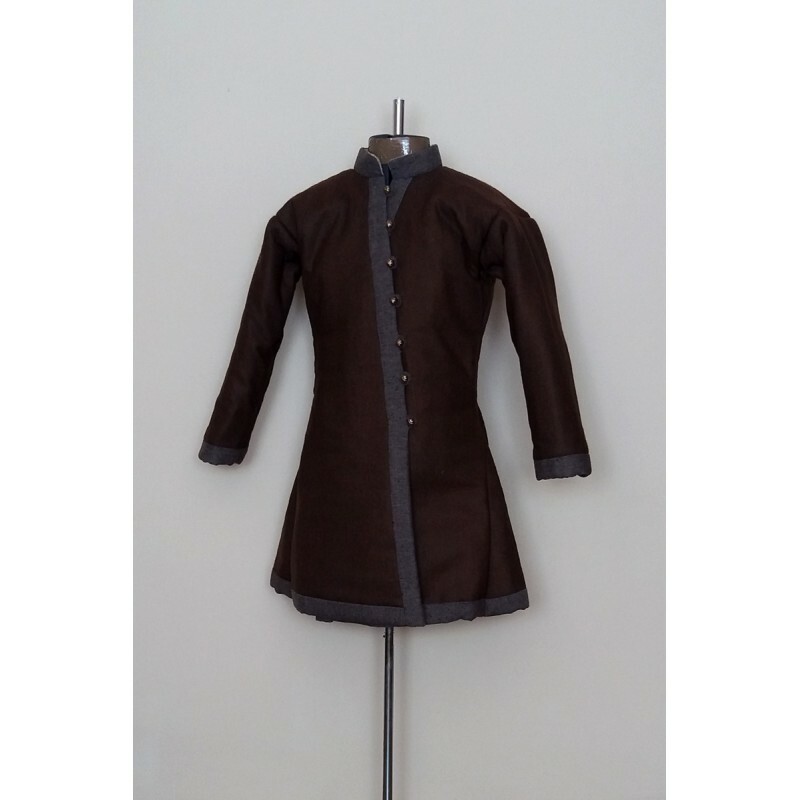 A woolen combat tunic, designated for wealth infantryman. 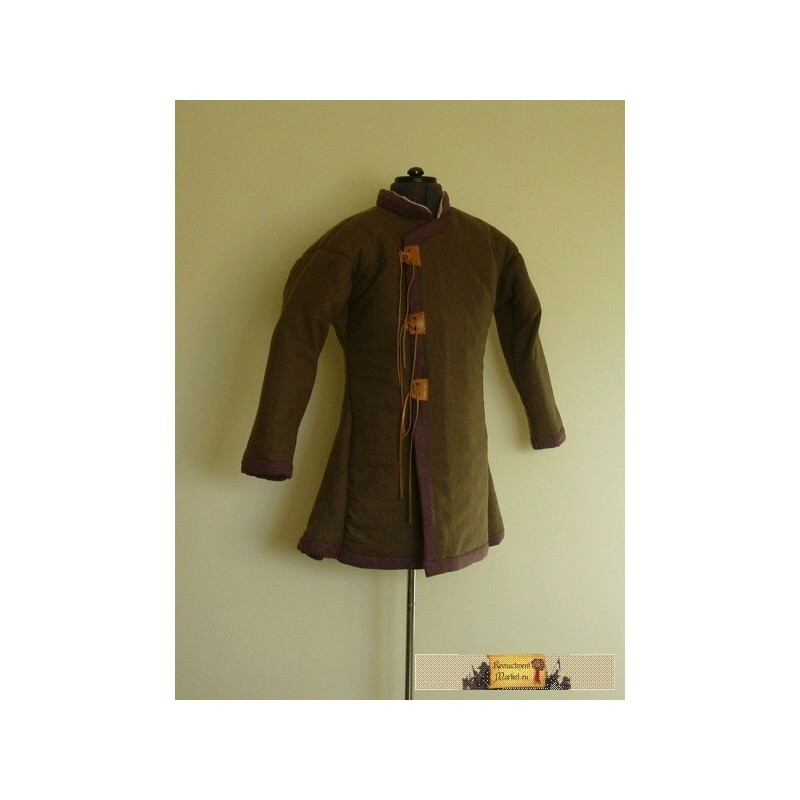 It is made of dark green woolen with lining, the edges are made of purple woolen. It is reinforced with felt in neuralgic points of the body (spine, joints, etc.). This outfit is cut in the front and buttoned up on 3 leather fasteners. It is widened with wedges, the sleeves narrow towards the wrists and under the armpit there is also a wedge which improves mobility. 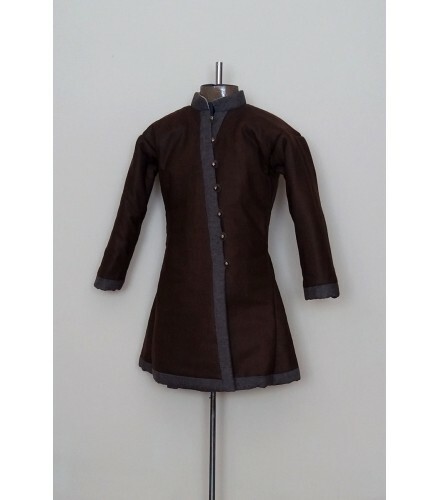 The cut of the tunic refers to Rus civil tunics.